Moody Gardens Hotel is the perfect tropical setting for vacation. The best Galveston lodging in the amusement theme park. 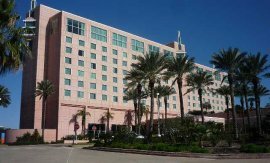 The Hotel is a full service luxury resort right inside the Moody Garden in Galveston. The tropical atmosphere is a perfect setting for weekend getaway or family vacations. A visitor may be encouraged to include this hotel in a travel plan for vacation. First thing a visitor to the garden sees is the Moody Gardens Hotel. It's right at the entrance of the garden. The hotel is equipped with modern amenities and nice fitness center. A family friendly kids club with supervised activities for children is also available. It has both outdoor and indoor swimming pools. The outdoor pool is behind the hotel and the indoor one is on the lower floor. Access to internet wireless is available in the public seating areas. Group meeting places and a big convention center for memorable events are part of the hotel's advantage. See photos of the hotel below. Accommodation here is quite expensive. One might have to pay a little bit more to stay in a nice hotel close to this popular attraction site. Hotel rooms can either be on the front side or the back side. 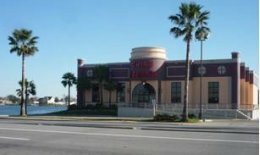 The back side has a panoramic view of the Moody Gardens Galveston. Parking at the Hotel is excellent despite the great number of people who come here regularly. Attraction sites like Strand Shopping center, Museums and theaters are easy to get to. Plans to go on Galveston cruises from the hotel is perfect. The port is about 6 miles away. Beach activities are 2 miles fron the hotel. The Hotel has two restaurants. One casual and the other more formal. They sometimes stay beyond closing time. There is also a nice restaurant inside the IMAX Theater in the Moody Garden. There are more restaurants like Boudreaux on the Bayou, Yamoto(Japanese), Pizza Hut, Little Caesars, Papa Jones and a Chinese restaurants on the 61st street nearby. Start a vacation at the Moody Gardens hotel and enjoy the most popular attractions in the area without driving around. Different rooms in the hotel facility. The indoor pool at the 1st floor and the hotel restaurant. The convention center, the interior and the hallway.